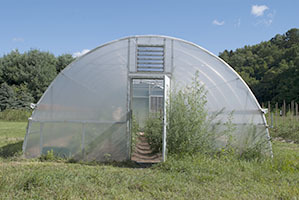 Hattie’s Garden is a sustainable agriculture garden that grows chemical-free produce. The program is also a Hattie Larlham vocational program for adults with developmental disabilities. Did you know that March was Developmental Disabilities Awareness Month? In 1987, Ronald Reagan issued a proclamation to bring forth positive change in the lives of the developmentally disabled. Locally, Summit County has made great strides in doing the best they can to serve and include those with developmental disabilities. The key has been to provide supports and services that allow those they serve to live typical lives. 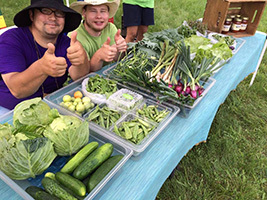 The largest entity, County of Summit Developmental Disabilities Board (Summit DD), is a great example of a successful community service, uniting just about every related program for services that come full circle.